The Pennsylvania state legislature is one step closer to making online gambling in the state a reality. The House of Representatives will take up the issue as members of the legislature have introduced the matter in the upcoming budget bill. Legalizing the industry in Pennsylvania would make internet gambling legal in four states—with the Keystone State joining New Jersey, Nevada, and Delaware. Gambling Insider reports that the Pennsylvania Senate has approved an online gambling bill 43-7. The bill will now pass to the House, where it will be factored into the budget before a vote. The proposed legislation has garnered support on both sides of the aisle, giving the possibility of legal e-gambling an even higher chance of becoming a reality. However, like with any proposed law, there are a few caveats.The proposed legislation has undergone a number of amendments during its trip through the Senate and House. While the Pennsylvania House Gaming Oversight Committee approved the bill last month for a vote on the House floor, it is possible that internet gambling could be legalized via the House budget bill. Under these terms, slot machines at off-track betting establishments and airports could become legal. This could pave the way for internet gambling to become a reality in the state. But, if approved, merchants wishing to open online gambling businesses in Pennsylvania will face a number of obstacles, the biggest of which being the $8 million in licensing fees set to become customary. So, while the odds of it becoming legal in Pennsylvania are good, it may be easier said than done for merchants to get started. Gambling online is not a new industry, but a restrained one. Still illegal at the federal level, it is difficult for online gambling and gaming merchants to maximize their potential. However, with sites like DraftKings and FanDuel delicately walking the line between hobby and gambling, some further definition is required for the industry to thrive.The proponents of e-gambling far outweigh the opponents, and that is only expected to tip more in the proponents’ favor as time goes on. Introducing the industry in another state could lead to more states taking initiative on internet gambling, providing more options for merchants. Additionally, fantasy sports sites like DraftKings that have come under fire recently may choose relocate to a state that allows such in the future. The outlook on online gambling remains promising nonetheless. Merchants and industry experts seek further definition on what is and isn’t considered gambling, and as that definition comes, more opportunities to thrive could become available for U.S. gaming merchants. Instabill has long offered e-commerce merchant accounts to gambling merchants in the U.K. and Europe. Through our offshore banking solutions, we offer industry-low rates and generous volume caps for qualifying merchants. 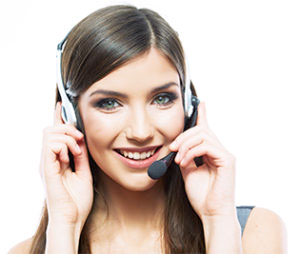 Speak with a live merchant account manager today at 1-800-318-2713.